public and private operators involved in the movement of passengers. The road freight transport sector had almost 2,800 workplace injury and illness claims in the three years to June 2006 at a total cost of $39.5 million and resulting in 155,000 days lost. There are many injuries that can occur without you even leaving the cabin of your vehicle. Before you start driving there are specific measures you can put into place to ensure a comfortable and safe journey. In the cabin, it is important to adjust the seat, mirrors and steering wheel to your body specifications. The Transport Workers Guide to keeping safe at work outlines a simple checklist that can be completed before you begin you shift to try and alleviate strains within the cabin. Getting in and out of cabins can be tricky. Trips and slips can occur in wet weather or if you are in a hurry. Unnecessary bending, twisting and reaching should be avoided as much as possible. Many of the risks from getting in and out of a cabin may be prevented or reduced through improved design. Drivers should be encouraged to raise health and safety issues with their employers as by documenting and reporting these issues will enable them to be brought to the attention of designers. do not jump from the cabin. Athletes warm up before performing their job, why dont you? Exposure to noise through sources such as engine, gearbox, traffic and in cabin sound. Close you drivers side window to reduce the amount of external noises. Ask your boss to install air silences to park brakes and air starters. Talk to your boss about fitting exhaust systems on the passenger side. Install air-conditioning to reduce outside noise through the use of open windows. Fit sound and vibration absorbing materials reduce engine, road and gearbox noise. Make sure there is plenty of fresh air entering the cabin either through the vents or an open passenger side window. Large heavy meals may make you feel sleepy, try eating light meals with some snacks. Establishing and maintaining workplace conditions: All ‘near misses’ and hazardous incidents need to be reported and recorded to assist in prevention. Maintaining a healthy and active body. Poor health and lack of fitness contribute to fatigue. If you feel yourself staring straight ahead, take a break. Have a back up in case of accidents, blowouts or other delays. Tired drivers need to be relieved and the fatigue management plan needs to foresee and deal with all eventualities. Stop driving every 2-3 hours, take a break and stretch. Rostering drivers. For example, make sure drivers are given enough notice to prepare for a trip, and the schedule includes appropriate rest periods or the availability of a relief driver. Adjust the incline of your seat pan to 10 degrees or more. Set back tilt to 15 degrees or more. The back rest should support your lower back. Adjust your seat far enough forward so your knees are bent and slightly forward of your hips when fully pressing the pedals. Use a firm cushion if the seat is too low. A number of basic principles apply when developing a fatigue management system. The following fatigue management principles are adapted from WorkSafe Western Australia. Give a driver at least 24 hours notice to prepare for a long working period eg: 14 hours. A schedule should permit a solo driver to have the opportunity for at least 6 hours of continuous sleep in any 24 hour period and preferably between 10 pm and 8 am. Where night work exceeds two consecutive periods of work between 10 pm and 8 am compensation of more than one day off in 7 should be built into the work cycle. Operate flexible schedules to allow for short break time or discretionary sleep. Minimise very early departures to give drivers the maximum opportunity to sleep in preparation for the trip. When drivers return from leave, minimise night-time schedules and rosters to give drivers time to adapt to working long hours especially at night. Require a driver to present and remain in a fit state for duty including not being impaired by alcohol or drug use. Provide an appropriate truck sleeper berth if drivers will need to sleep in the vehicle. Identify health problems that affect the ability to work safely, eg. diabetes. Provide drivers with information and assistance to promote management of their health. Provide a working environment that meets appropriate Australian Standards for seating and sleeping accommodation. When drivers work a continuous rotating shift system with a shift roster of 5 days or more there should be 24 hours of Non Working Time between shift changes. Ensure drivers are counselled regarding off shift activities, i.e. to avoid excessive drinking, fatty foods and moonlighting. Exercise is a good idea. Take an informative look at the successful convictions by SafeWork SA located on the SafeWork website. 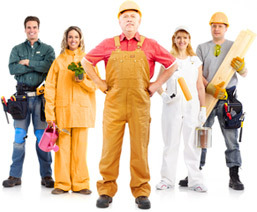 WorkCover SA resource A Transport Workers Guide to keeping safe at work.